The Atlanta Hawks lost their second straight Utah Summer League game on Tuesday evening losing to the San Antonio Spurs (103-81). Despite the lost, the Hawks showed some promise and they are improving and adjusting to first year head coach Lloyd Pierce and his new sytstem. 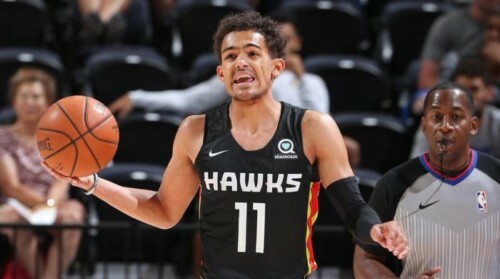 In his second NBA Summer League game, Hawks rookie Trae Young finished the game shooting (5-16) from the field for 12 points. Young’s 12 points however shouldn’t define his overall performance. Young seems to be adjusting to the schemes teams are throwing at him and I see growth already. Following the Hawks lose on Tuesday July 3rd, Trae Young spoke on his performance and what he saw on the floor in his second game. I spoke with Trae Young on what he is doing to impact the game when his shot isn’t falling, his comfort level after two games, how he has been making a impact on defense and more. The Atlanta Hawks face the Utah Jazz on Thursday July 5th in Salt Lake City, Utah at 7pm MT/ 9pm EST in their final Utah Summer League matchup.